X is a diverse group of inventors and entrepreneurs who build and launch technologies that aim to improve the lives of millions, even billions, of people. Our goal: 10x impact on the world’s most intractable problems, not just 10% improvement. We approach projects that have the aspiration and riskiness of research with the speed and ambition of a startup. Slideshow of the company timeline of X. Use tab key to navigate between slides, or mouse users can drag the range slider to navigate between slides. Google founders Larry Page and Sergey Brin always believed in investing some of the company’s resources in hard, long-term problems. In 2010, a new division forms to work on moonshots: sci-fi sounding technologies that aim to make the world a radically better place. This new division gets a placeholder name: X. It has a first project: self-driving cars. Is it a research center? An incubator? Is it philanthropic? No. It’s a Moonshot Factory looking 5-10 years into the future and aiming to invent new technologies and launch them into the world. The first batch of projects begins, including wearable computer Google Glass as well as Google Brain, which proves while at X that AI is ready to make everyday products useful. Other teams tackle indoor maps (Insight) and improving photography on mobile devices (GCam). 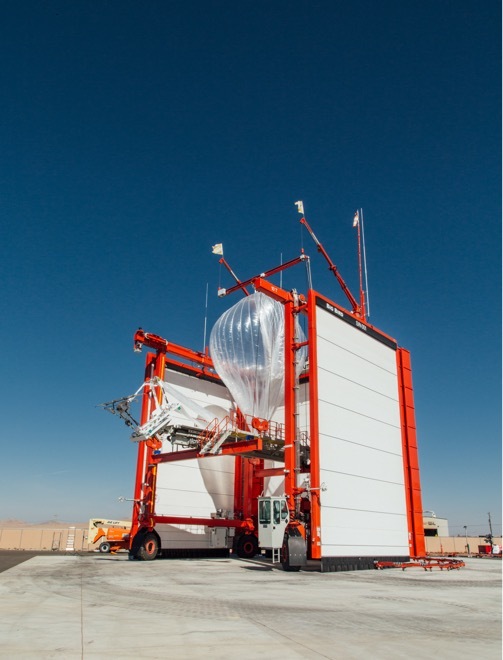 Audacious idea: deliver Internet from giant balloons flying freely on the stratospheric winds. A determined team sets out to prove this was impossible — the opposite of what most people do. By tackling the hardest problems one by one, they get Loon flying and cement a mindset that becomes a cornerstone of X’s culture. 30 lighter-than-air solar-powered Loon balloons launch in the Canterbury area of New Zealand. Sheep farmer Charles Nimmo is the first person in the world to connect to balloon-powered Internet. Makani’s 20kw prototype energy kite successfully achieves a special kind of flight called “crosswind flight” that the team will use to generate electricity. 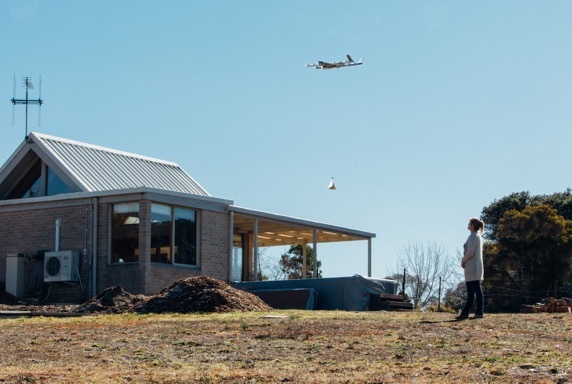 Project Wing delivers candy and dog treats to sheep farmers in Australia to test its drone technology. The Self-Driving Car project develops the “Firefly” prototype, built from the ground up for fully autonomous operation. Health professionals have long aimed to move treatment from largely reactive to proactive. 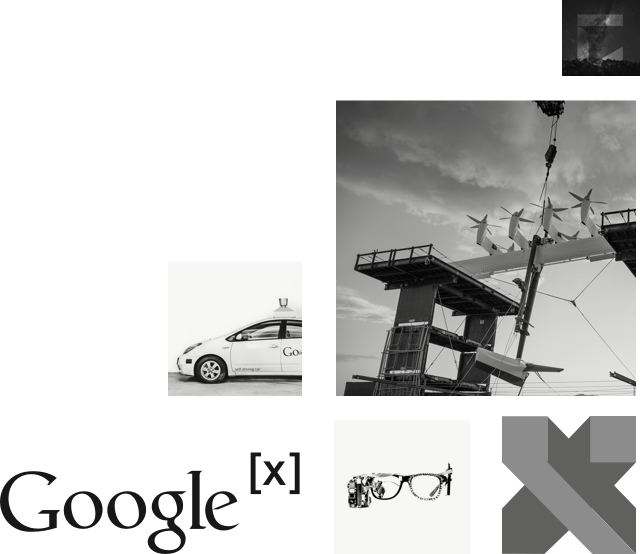 A collection of new technologies developed at X, including a smart contact lens, come together around this mission and ultimately graduate from X to form Alphabet company Verily. Alphabet forms in August 2015, separating Google’s Internet products from a set of smaller teams working on very different problems. Still an innovation lab, but now a separate division within Alphabet, Google X becomes X, and its job is to generate moonshot-based businesses for Alphabet. In 2015, the Self-Driving Car team completes the world’s first fully self-driving ride on public roads in Austin TX — no steering wheel, pedals, or test drivers involved. Steve Mahan, the former CEO of the Santa Clara Valley Blind Center, is the inaugural passenger. The Self-Driving Car team, X’s first moonshot project, graduates to become its own Alphabet company with the mission of building a better driver and making it safe and easy for everyone to get around. Over several years of moonshot-taking, we notice some cultural habits that make audacious thinking and radical creativity easier — and repeatable. Makani generates electricity with the M600 prototype. 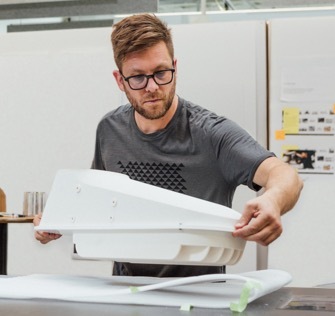 This version of the kite has the potential to power about 300 homes. Project Wing begins delivering food and other goods to families in rural areas around Canberra, Australia. Dozens of organizations adopt Glass Enterprise Edition so workers can keep their hands and attention on their work while getting easy access to the information they need. After devastating floods in Peru and Hurricane Maria in Puerto Rico, Project Loon flies in to provide basic connectivity and help people get access to vital information and basic communication tools. Dandelion graduates from X. The company reduces carbon emissions from home heating and cooling by using abundant geothermal energy from under people’s homes. Cybersecurity needs a moonshot — lists of top global threats now include cybersecurity next to usual suspects like climate change and natural disasters. Chronicle graduates from X and becomes an Alphabet company to help companies detect and deflect cyberattacks.